Castles, wealth and water. That’s what this informative 3-hour tour on the St Lawrence River is all about. Cruise the wide, island-filled river, puttering along the Canadian shore as a guide describes the intriguing history of the area and some of the rich and famous people who have settled here through the decades. Dock at Heart Island and walk to where the imposing Boldt Castle sits. 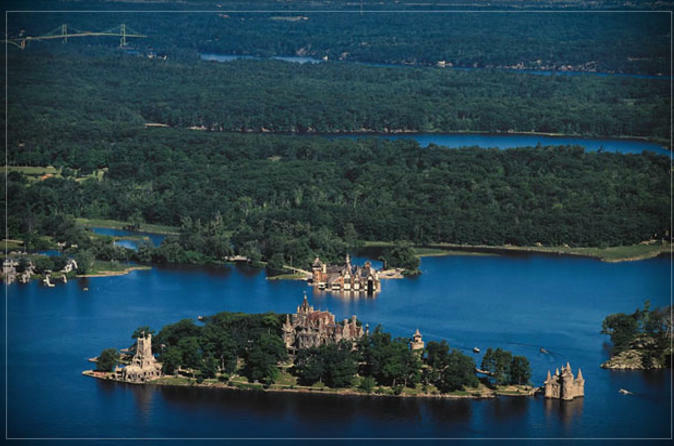 Take a self-guided tour of the castle or just explore the island before getting back on the boat and returning to Clayton. 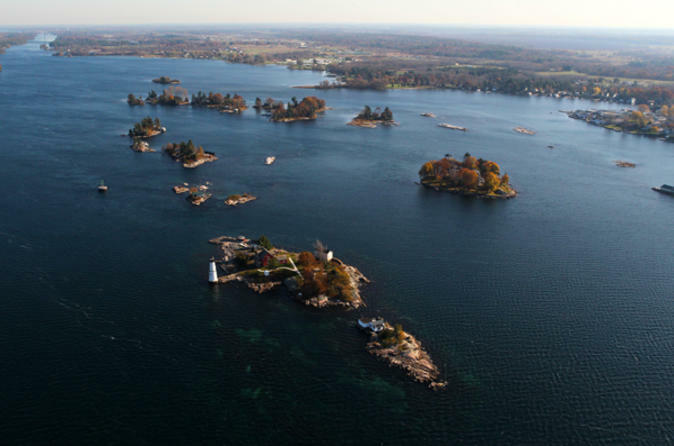 Get a peek into the underwater world of the St Lawrence River on this 3-hour glass-bottomed riverboat cruise around the Thousand Islands area. Spend an hour on Rock Island exploring the historic Rock Island Lighthouse and its various buildings. Ascend to the top of the lighthouse to visit the former lighthouse keeper’s home, now a museum. Then get back on the boat and cruise the river and listen as the expert local guide, a naturalist, gives an insider’s view on the surrounding area.